More than 1,100 people were killed and 2,500 others were injured when the building collapsed. 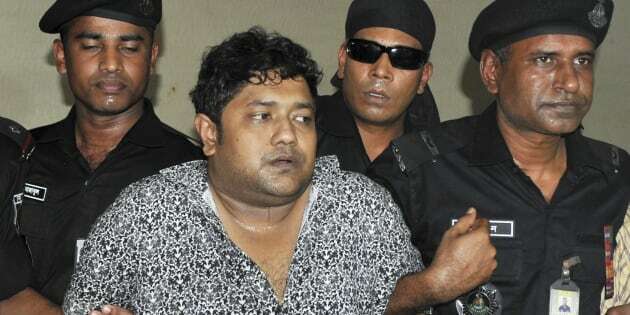 Members of the Rapid Action Battalion (RAB) present Mohammed Sohel Rana to the media after his arrest in Jessore, in Dhaka April 28, 2013. DHAKA, Bangladesh — A Bangladesh court has sentenced the owner of a building that collapsed in 2013 in the country's worst industrial disaster to three years in jail for unaccounted income. Judge Imrul Kayes found Sohel Rana, the owner of Rana Plaza, guilty of illegal earnings. More than 1,100 people, mostly garment workers, were killed and 2,500 others were injured when the building that housed five garment factories collapsed. Rana separately faces several other charges, including murder for his involvement in the deaths of the workers. Tuesday's verdict came after the country's official corruption watchdog filed a case accusing Rana of earning money beyond known sources and using that money to build Rana Plaza in violation of building laws. Defence attorneys said Rana would appeal the verdict.